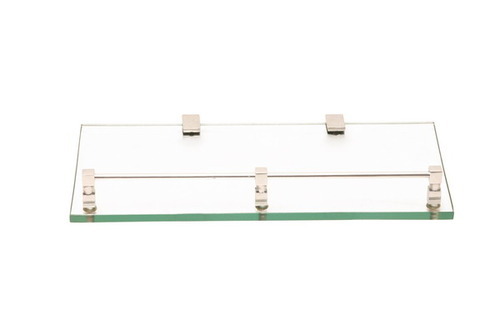 Keeping in pace with ongoing demand of our customers, we have been successful in delivering best collection of Bathroom Glass Shelf to our customers. The mentioned range of item is developed using high grade basic material and advance techniques in adherence with the market laid standards and norms. Furthermore, the mentioned range of item is accessible in fine and with floral designs at a very affordable rate. Since its foundation SD Architectural & Designs Pvt. Ltd. has come up as the renowned firm providing best Manufacturing and Supplying the finest collection of Bathroom Accessories, Antique Product and Household Product. Through our collection of products we guarantee maximum customers’ satisfaction. Every manufacturing process is done under the observation of expertise who keeps complete tab on its production process.